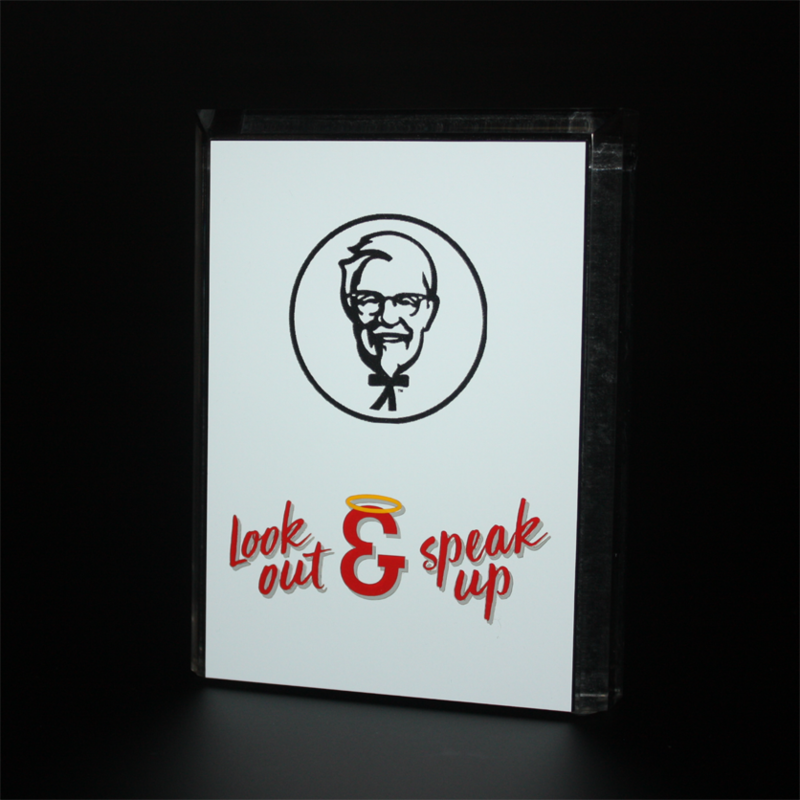 This collection of awards has been designed in conjunction with KFC’s new “Look Out & Speak Up” safety initiative. 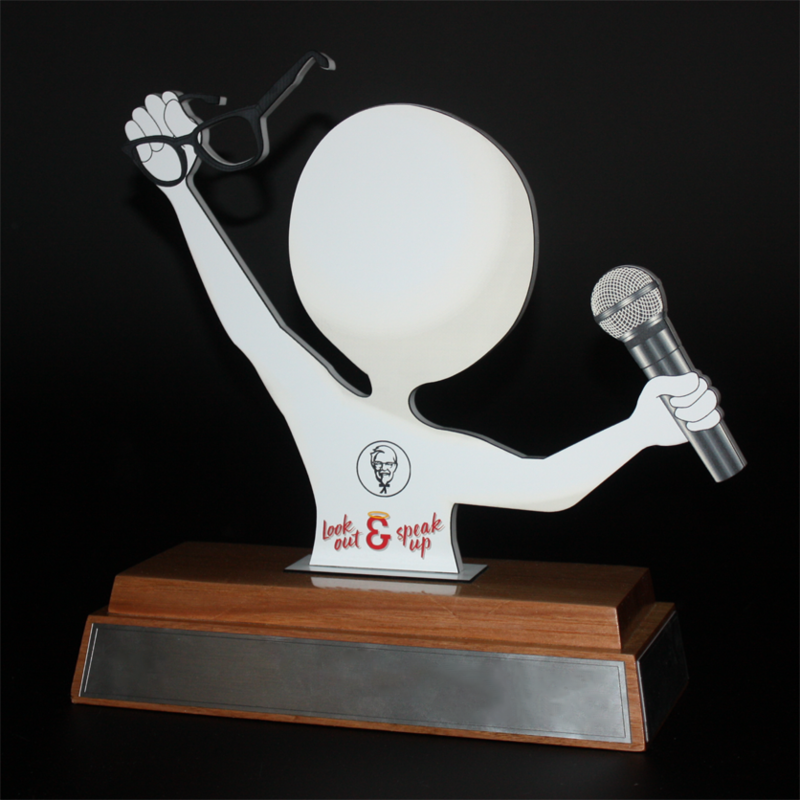 We were initially approached with the request to design an award which incorporated the initiative’s coloured branding along with creating an original icon to be featured. 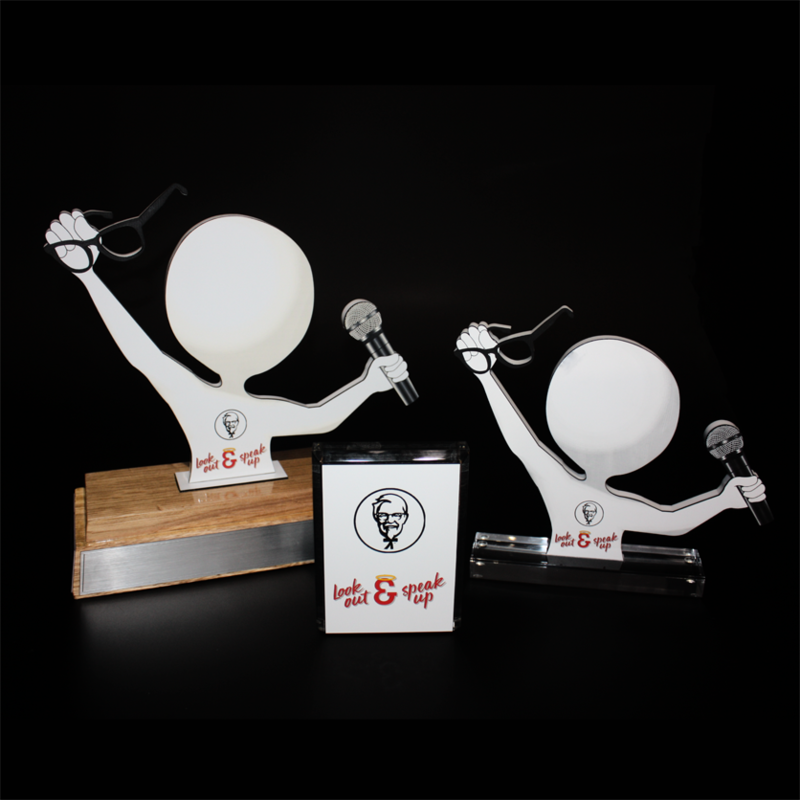 With these guidelines in mind, we produced this beautiful range of awards. 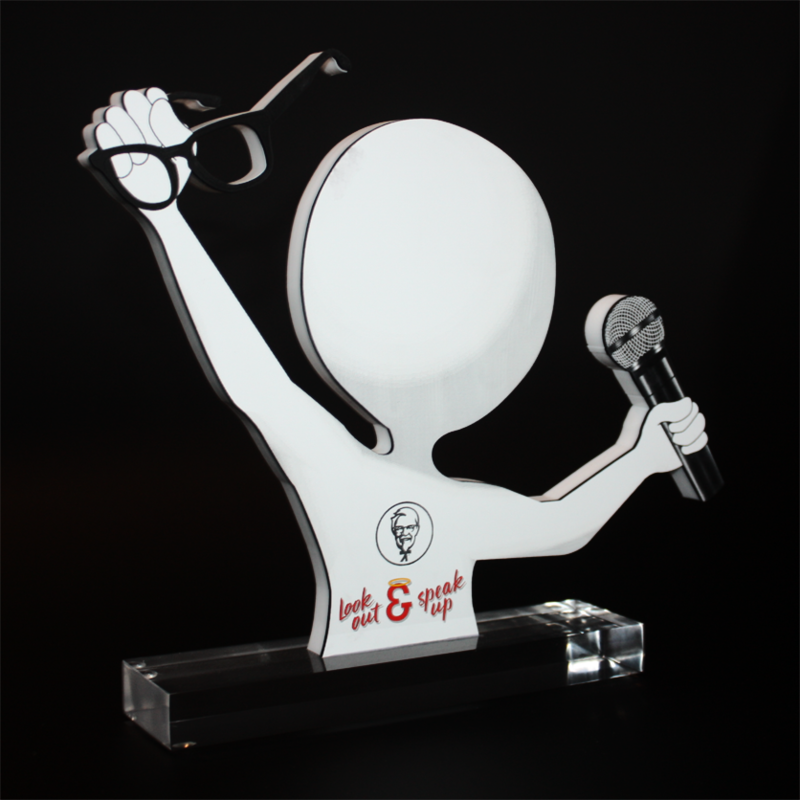 The three variations of the trophy are predominantly constructed using acrylic parts with custom designed artwork engraved into white with black core laser plate. Custom layered vinyl lettering has been applied to display the branding and to add an element of colour to the otherwise monochromatic awards. The largest of the three awards was created with a timber base to serve as a perpetual award for many years to come.